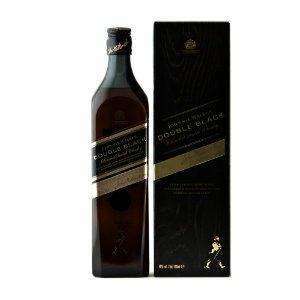 Johnnie Walker Double Black - Limited Edition - 70cl in £20.87 incl. VAT at COSTCO. Premium blended whisky makers Johnnie Walker is releasing a blacker than black, particularly intense Double Black variant of its popular Black Label bottle. An un-aged spirit, the Double Black has been blended to create a flavor profile that is consistent with the house style of Johnnie Walker, yet different and completely exciting than its Black predecessor. A rich, intense, smoky blend containing whisky matured in deep charred old oak casks. Created in the style of Johnnie Walker Black Label but with a rich, more intense, smokier flavour. It's proof that this pioneering spirit is still alive and well today. Deal posting newbie! This is tgifhukd first deal post. Help out by leaving a posting tip or just to show your appreciation for their contribution.